4.43"Dia. 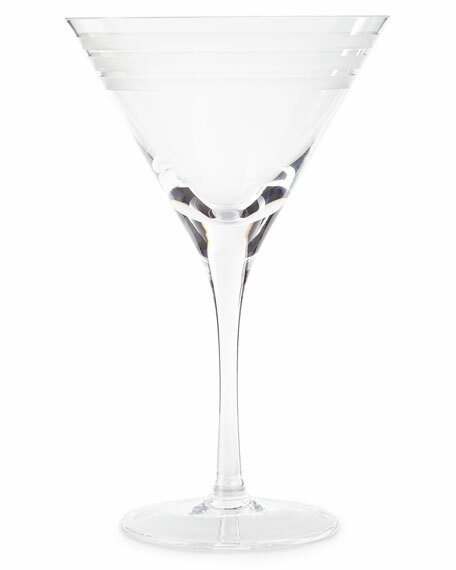 (at mouth) x 7.25"T.
Handcrafted, oversized martini glass. Hand-blown glass. 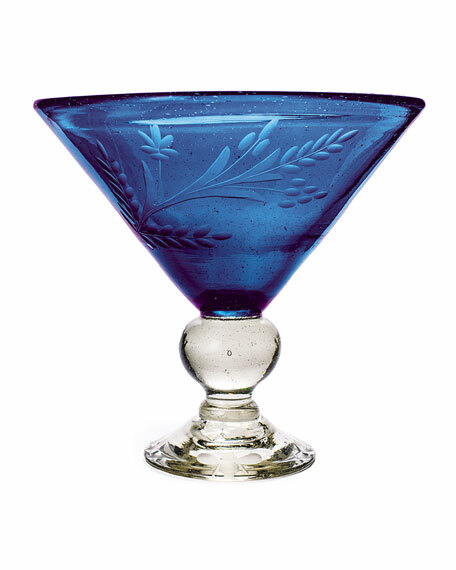 Features traditional pepita etching on the blue bowl. "Wee-bee" detail on foot. 7"Dia. x 7.25"T. Hand wash. Imported. 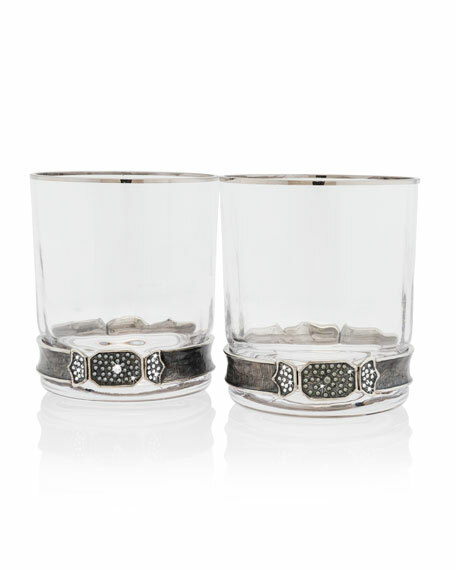 Handcrafted double old fashioned glasses plated with Rhodium and embellished with crystals. 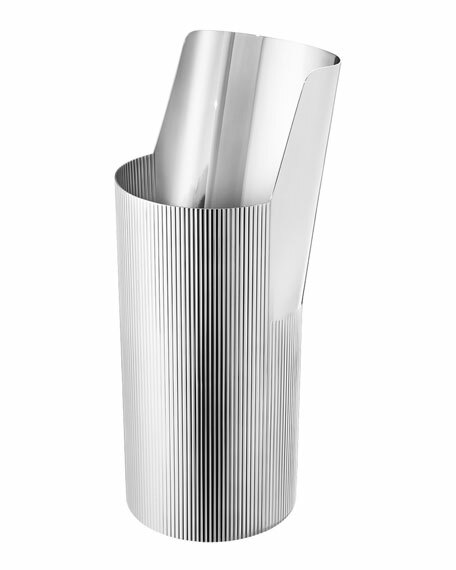 Rhodium plating, zinc alloy, and glass. 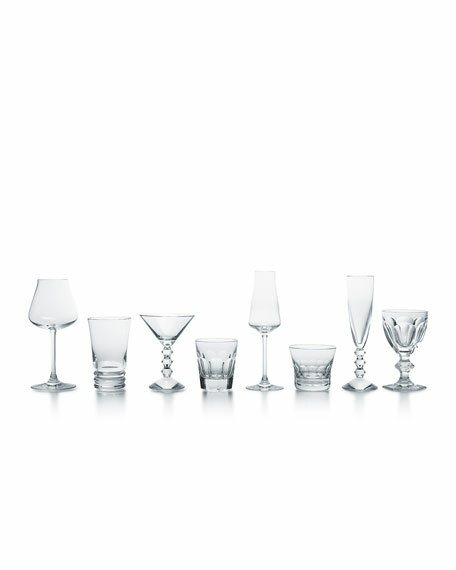 From the Barware Collection. Hand-painted details. Set of two. Each, 3.75"Dia. x 4.25"T. Imported.